If you are a home enthusiast, you would crave for a luxurious living infrastructure, while you reside close to your city. Well, the upcoming projects in Satellite, in Ahmadabad provide the residents with the best blend of comfort and sophisticated living amenities. Nested in green areas, the 2, 3 and 4 BHK apartments in Satellite provide optimum ease for connectivity and elegant living spaces to the residents. Over the last decade, the properties in Satellite have been attracting investors from various corners of the country. With the development of roads in the region, transportation facilities have received a boost in recent years. Besides, entertainment and security facilities in the area have also been ramped up. 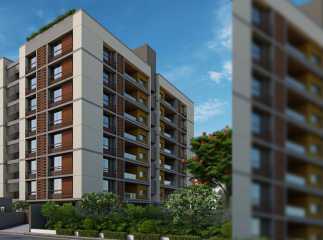 People interested in property in Satellite should book the apartments now, as hundreds of homebuyers are targeting to acquire these apartments. One of the best benefits for residents in this region is fast transportation facilities. The city-planning has been wise, enabling the people to reach their destination in quick time. 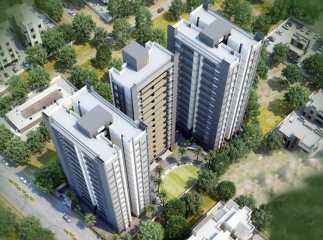 Ahmadabad is also known for its commercial importance. For decades, the city has attracted merchants from all over the country. Meanwhile, other industries have also been developed here. The employment opportunities in Ahmadabad are huge. This is one of the key reasons why people are inclined towards acquiring villas in Satellite. Apart from this, the social infrastructure of Satellite is well-developed. The area has a number of schools and hospitals. Besides, the residents can reach the shopping malls and multiplexes in the region easily. The private transportation system is well-developed in Ahmadabad, enabling the residents to navigate around the city quickly. The flats in Satellite are known for their sophisticated interiors and spacious rooms. These apartments have been developed, keeping the interests of high-end and middle-income groups in mind. You may consider buying one of these apartments and get the taste of a cultured lifestyle. Well, the important schools in the region include Ahmadabad Montessori School, Shri Narayana Central School, Ahmadabad International School, DAV International School, H.B.Kapadia New High School, Nirman High School, and Prakash Higher Secondary School. The Ahmadabad University is located close to the residential areas. The reputed hospitals in the region include Ahmadabad Cancer Hospital, Asian Bariatrics Hospital Ahmadabad, Aditya Orthopaedics Hospital, Vishwa Ent Hospital, Ahmadabad Heart Hospital, Global Hospital, and Sushri Jasumatiben Shahtilal Surti Charitable General Hospital. Evidently, people buying plots in Satellite will face no hassle in reaching these healthcare institutes in times of emergency. 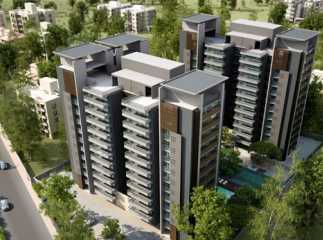 Within the residential complex, you will get a number of world-class amenities. These include a state-of-the-art banquet hall, tennis courts, swimming pool and gyms. Fitness enthusiasts will find the perfect infrastructure to enhance their health. Apart from this, the residential complexes also come with dedicated play areas for children. The clubhouse provides an ideal place to spend the leisure hours. Open green spaces in the estate breathe freshness into the lives of people residing here. 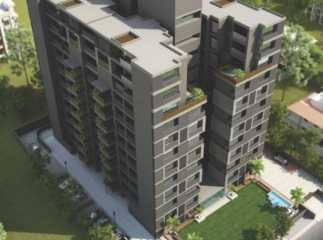 Investors looking forward to make a good deal should invest in the apartments in Satellite now. You can enjoy a luxurious life, with all the amenities you crave for. Get an apartment in Satellite and enjoy the sophisticated living infrastructure here.